Rivergate Marina & Shipyard partnered with Major Yacht Services and Sydney Superyacht Marina to host their annual Sydney Captains’ lunch, the opportunity for superyacht skippers to renew ties, socialise and compare notes on international destinations and regulations and closer to home, the evolution of the local industry. This year, the venue was The Squire’s Landing Restaurant and Brewhouse. Brilliantly located on the Harbour’s edge at Circular Quay with sensational views of the Bridge and Opera House, it set the nautical tone for an afternoon of fine fare and house-brewed beers. In total, there were 35 Captains, marina managers and media. Event partner and co-host, Geoff Majer of Major Yacht Services said this year’s Captains’ lunch was “the biggest and best of all”, which summed up the unanimous feedback from all guests. 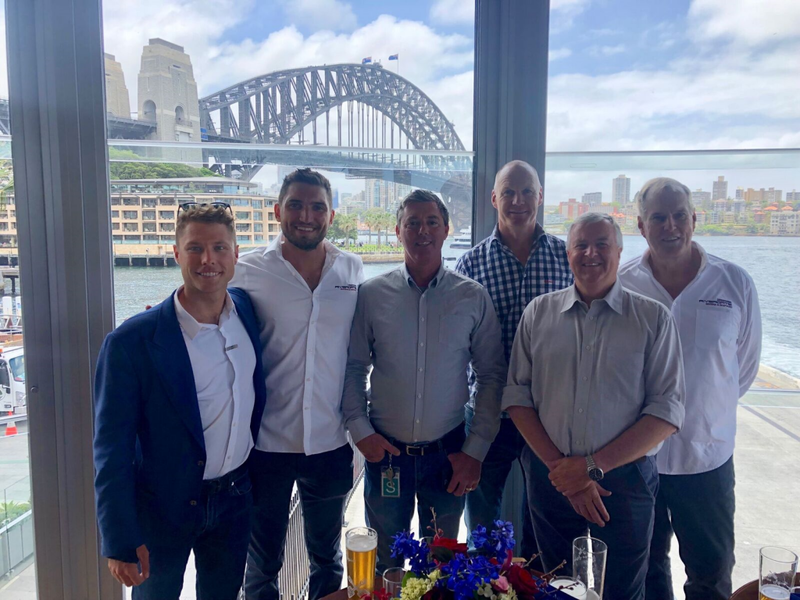 “The location was outstanding, showcasing the amazing and beautiful Sydney Harbour to the international Captains that attended. Even the local Sydney Captains commented on how good it was to be on shore and to be in a relaxed environment with like-minded people. “It’s a fantastic, low-key social event we never miss if we’re in Sydney,” said Paul Maguire, Captain of MY Hey Jude. Captain Matt Baily of MY Oneworld, the latest addition to the Australian charter fleet, said the lunch was a refreshing first for him after several years in Europe. “Having been in Europe for the past eight years, it was a great chance to get to know the local Captains. Charter is becoming so popular, and especially at this time of year, it’s interesting to hear what others are up to. 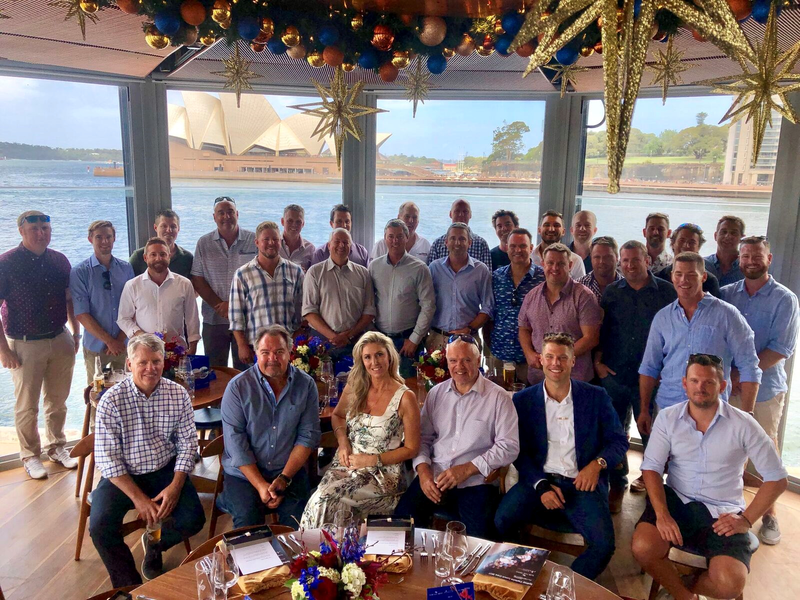 Sydney Superyacht Marina Manager, Clemens Overdijk described the Captains’ lunch as “a welcome break before the hectic summer season”. “A real highlight is being able to introduce captains. For instance, we have a sailing yacht Captain who is planning to do the Rolex Sydney Hobart and a Dutch Captain of a US ship also heading to Hobart. Putting them together is mutually beneficial. One is taking luggage to Hobart for the other, which is helpful, and they both now have a friendly face and useful contact in Tasmania. Rivergate General Manager, Andrew Cannon said the annual lunch, complemented by the ASMEX/Sanctuary Cove dinner in May, afforded skippers and industry proponents the chance to “enjoy a great meal in a brilliant setting, catch up with friends and swap intel from all levels of industry”. “It’s more than a networking occasion. It allows Captains to discuss all the current topics in an informal setting, whether that be charter regulations, new players in the market, innovations in technology, itineraries, crewing and trends in superyachts. Tom Hill, Florian Archan, Andrew Cannon, Clemens Overdijk, Geoff Majer and Steve Fisher.